ACT NOW! 3 – Standard and 5 – Triple Rail (See Photo) Available. 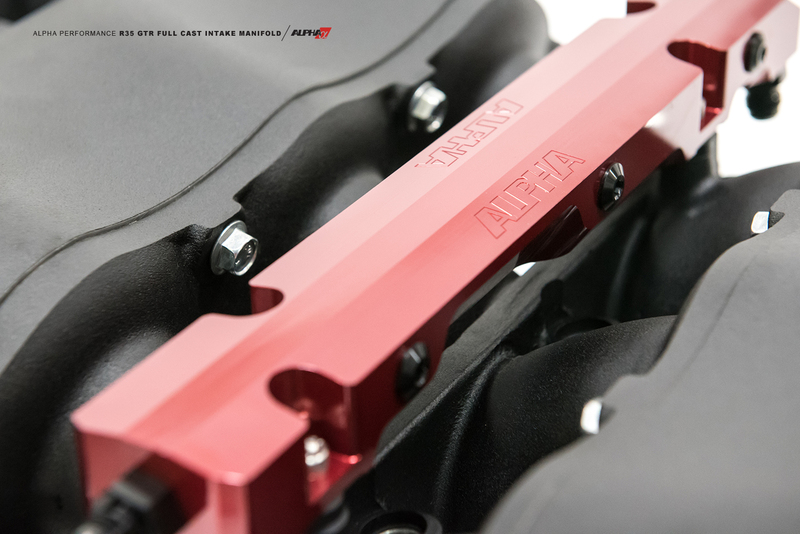 The Alpha Performance R35 GT-R Full Cast Aluminum Intake Manifold has been painstakingly designed by AMS to be the most efficient and power producing cast intake manifold on the market. Once these are gone they will not be offered again. Call now for pricing! 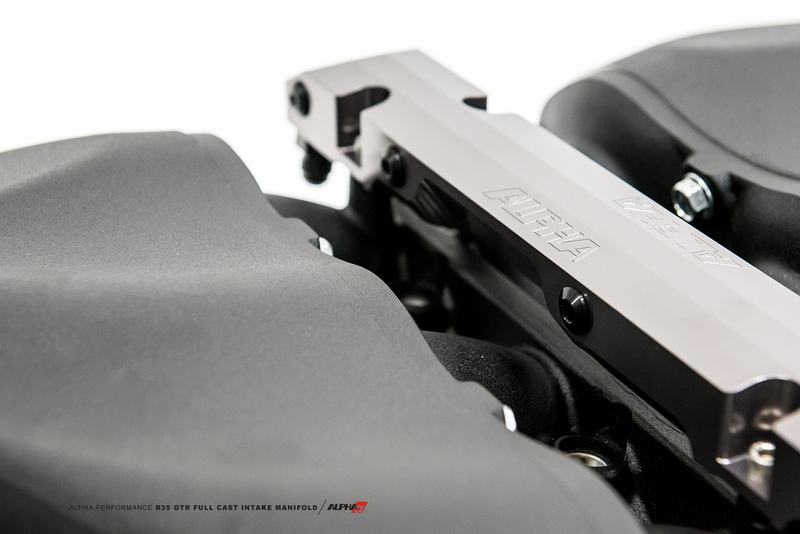 The Alpha Performance R35 GT-R Cast Aluminum Intake Manifold has been painstakingly designed by AMS to be the most efficient and power producing cast intake manifold available. Attention to every detail was accounted for when creating this high performance induction component. If you’re familiar with the Alpha product line, you already understand that our aspiration has always been to offer you much more! Like our Carbon Fiber Plenums and unlike most aftermarket GTR Intake Manifolds where gains are seen near the top of the power band and suffer near the bottom, the Alpha GT-R Full Cast Aluminum Intake Manifold provides global performance. Compared to the leading cast aluminum GTR intake manifold on the market, our piece not only produced more HP and torque but it did so through the ENTIRE POWER BAND! 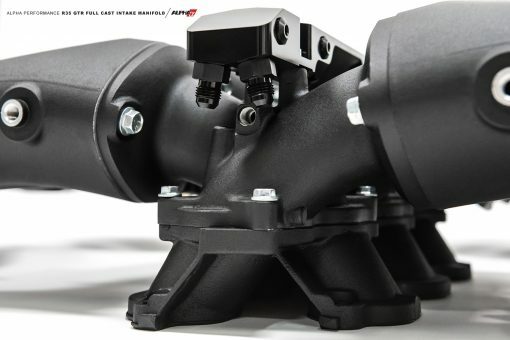 From the moment your turbos spool up, the Alpha GTR intake manifold starts making more power and torque. The best part is nothing is sacrificed in terms of response or power under the curve. Based off of our World record setting Carbon Fiber Intake Plenums proper function of the plenum is extremely important to the performance of any intake manifold. 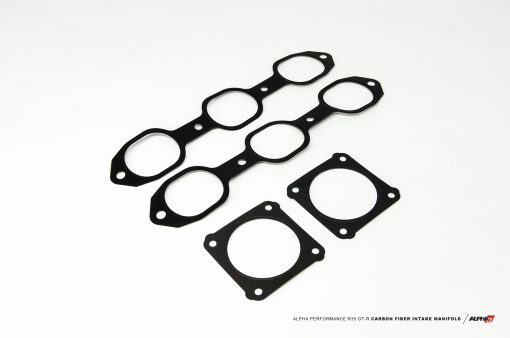 In the case of the GT-R, there are two plenums – one for each bank. 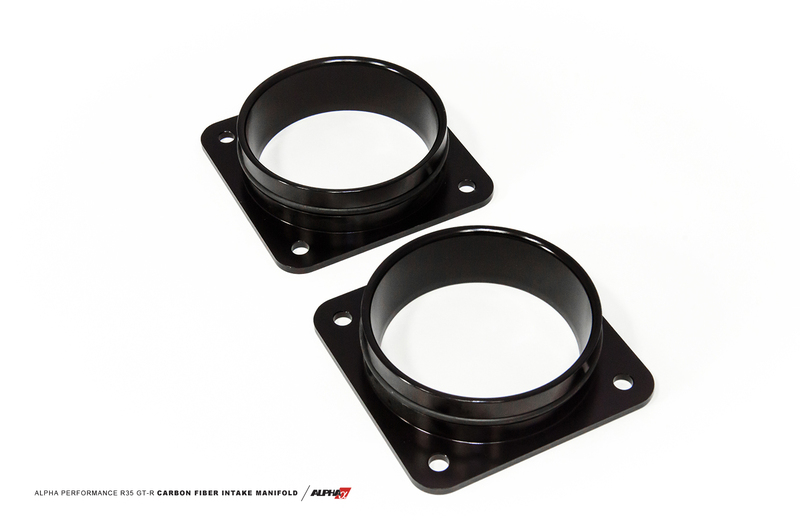 Not only should they be sized for correct volume, they provide even more benefits when shaped in such a way that distributes charged air more evenly amongst each of the precisely machined CNC aluminum velocity stacks leading into the runners. 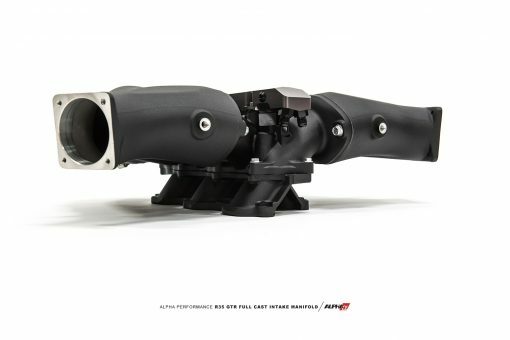 Both lightweight cast aluminum plenums are molded and tapered to channel charged air effectively – reducing turbulence and accelerating the delivery of charged air to the engine. 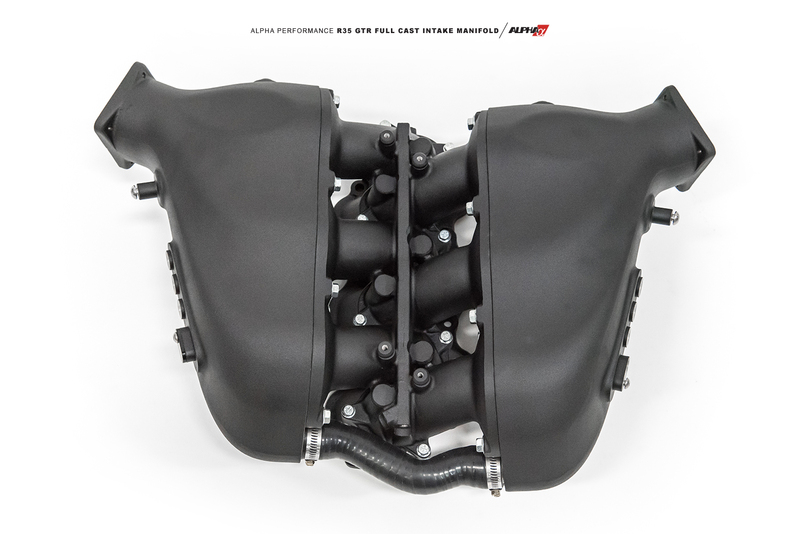 By maintaining balance and sustaining maximum airflow velocity and pressure when needed, your GT-R benefits by outputting more horsepower! R35 GTR intake manifold with optional third rail. 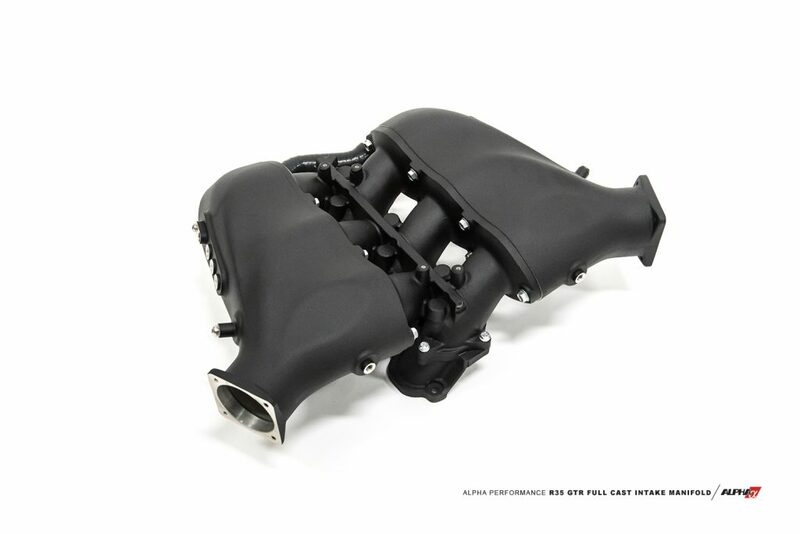 R35 GTR intake maifold without optional third rail. 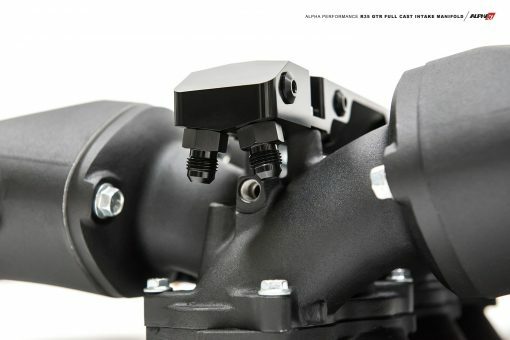 Each manifold is matched to its upper and lower running section to maintain the perfect flow of air from the throttle body to the cylinder heads. 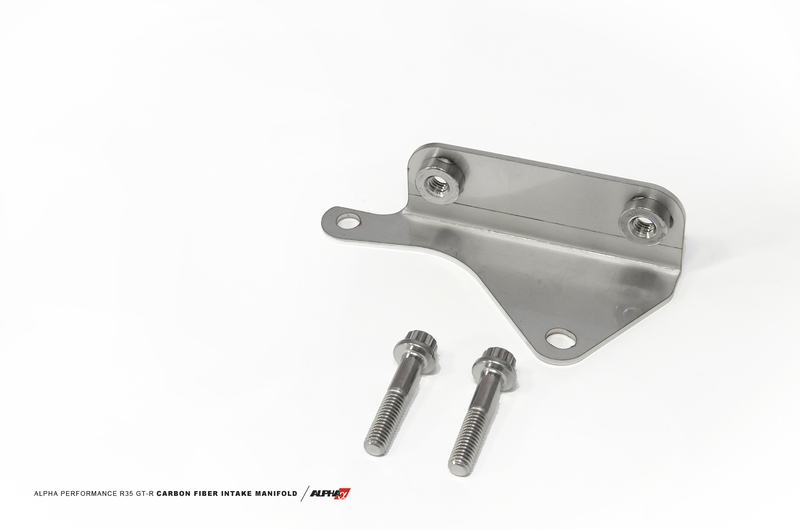 To achieve this, our engineers called for very tight tolerances where the upper and lower sections adjoin. That wasn’t enough though. To perfectly align the upper and lower ports, they took it a step further and installed dowel locating pins to ensure there were no steps or protrusions that could cause unnecessary turbulence found on other aftermarket GTR intake manifolds. We wanted to offer an intake manifold with the highest level of strength and reliability. 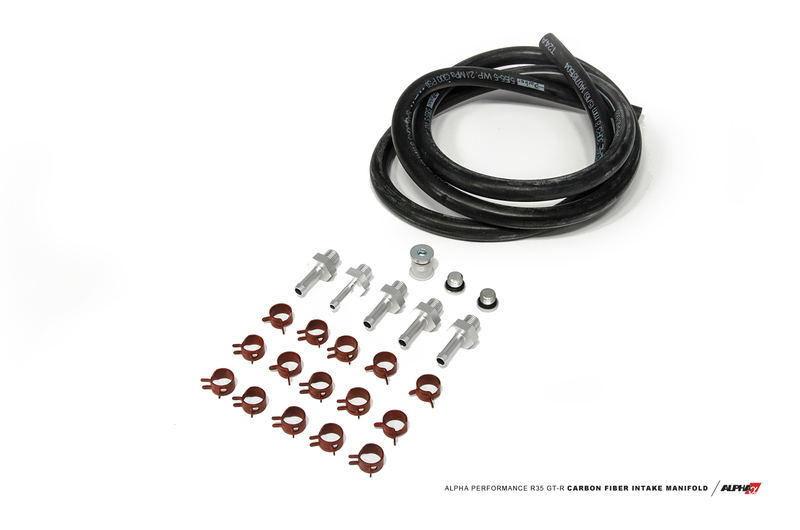 We then cycle tested our finalized design from 0–50psi in a high heat environment in order to replicate over 20 years of operation by the average GT-R owner! In the end, a burst test was performed where the test manifold was subjected to over 150psi! 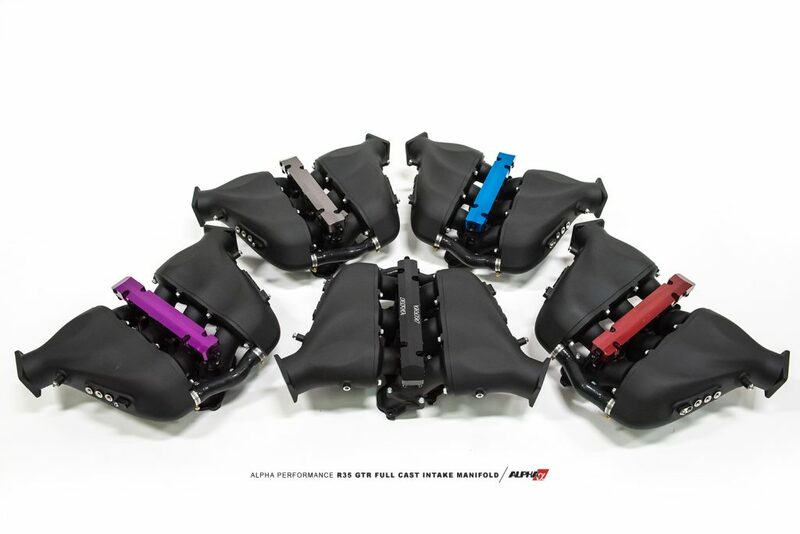 No other GTR intake manifold on the market has undergone such grueling tests! 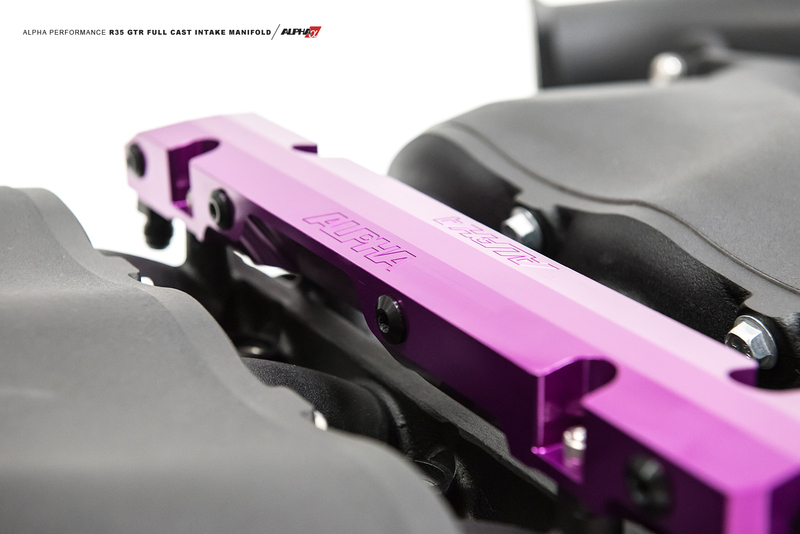 Choose from Pewter, Black, Blue, Purple, or Red anodized fuel rail finishes to give your engine bay that added custom touch! Only one of each is currently available. The only products available in this configuration are those that appear in the photograph. Once they are sold they will not be reproduced.